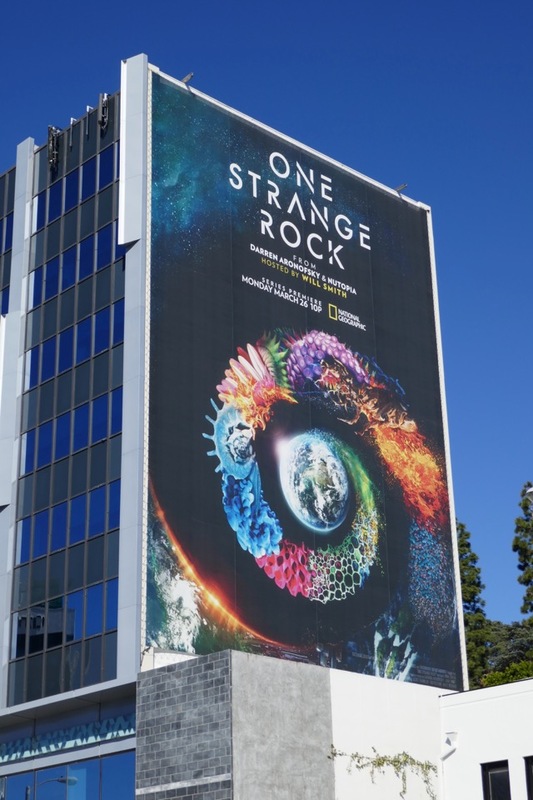 This month filmmaker Darren Aronofsky, host Will Smith and a team of astronauts who have been into space will help us rediscover the beauty of this One Strange Rock we live upon. 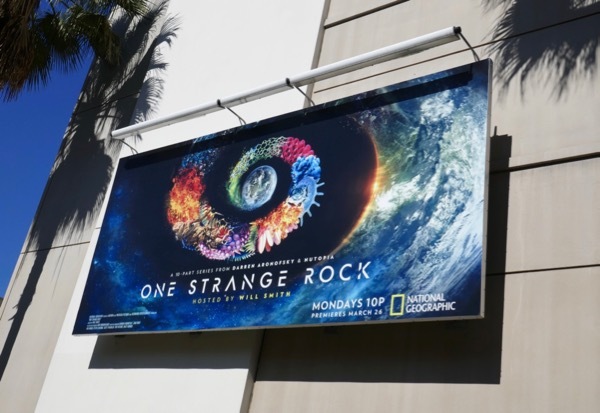 This ten-part documentary series will celebrate the science of our ecosystem and a planet bursting with life, and how our Earth came to be through its billion year journey through time. The fibonacci spiral is a pattern that naturally occurs in our flora and fauna so it's a great choice for this key art, especially with Earth at its centre as this series is from the perspective of astronauts who've seen it this way. 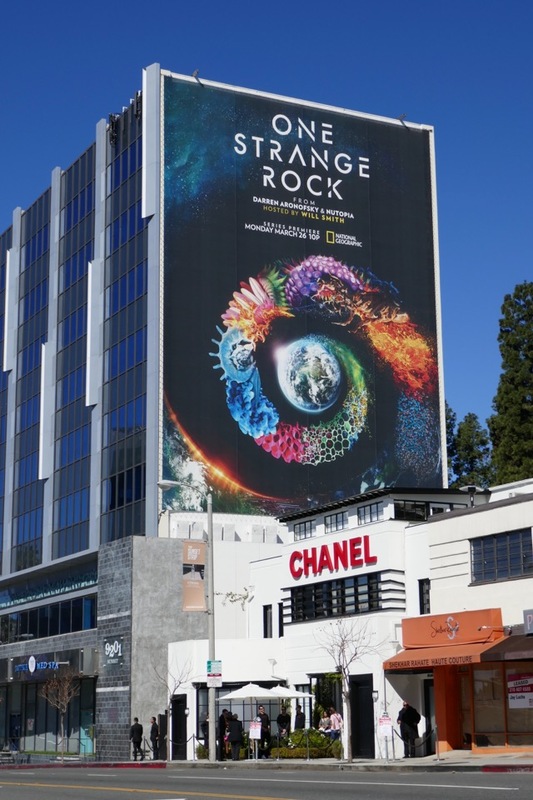 The smaller landscape series launch ad creative was spied at Fox Studios along L.A.'s Pico Boulevard on February 25, whilst the giant-sized portrait billboard was snapped along West Hollywood's Sunset Strip on March 4, 2018. 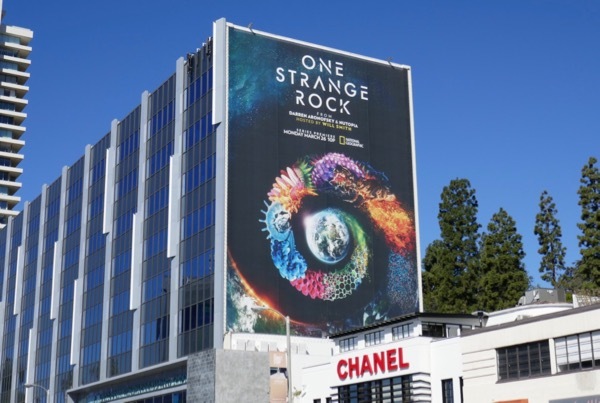 For more nature documentaries you may also be interested in these Mission Blue billboards, these billboards for The Ivory Game and these Virunga billboards. 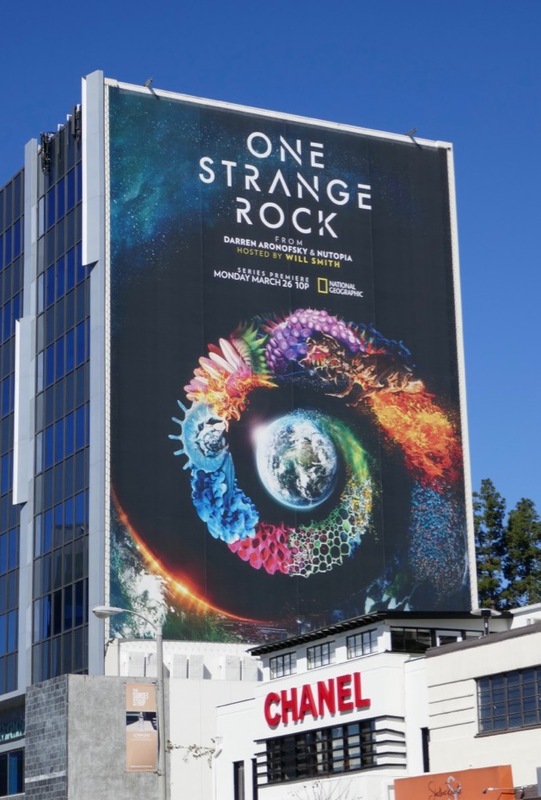 Hopefully with breathtaking visuals and unique scientific facts and insight this new National Geographic series can help communicate the wonder of our planet and the importance on protecting it now and for all our futures. 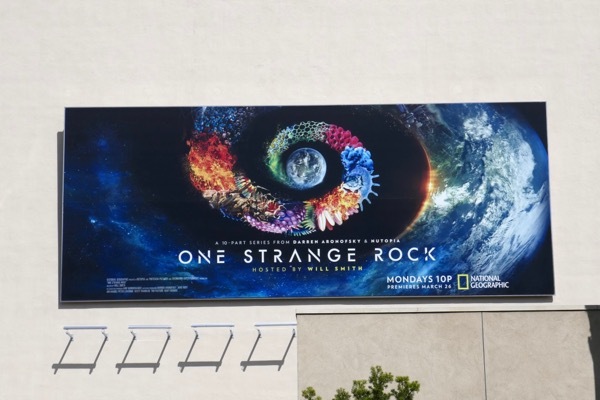 UPDATED: Here's another larger landscape billboard for the nature series snapped at Fox Studios along Pico Boulevard on April 8, 2018.